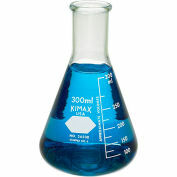 KIMAX® Volumetric Flasks with PE Stoppers have a graduation ring blasted on the neck and are calibrated to contain. 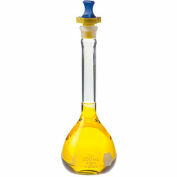 The enlarged top of the stopper will protect the neck if the flask is tipped over. 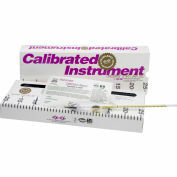 Supplied with a polyethylene stopper to fit in the ground neck. Marking spot on sizes 10 mL and larger. The 1 and 2 mL sizes are test tube shaped. 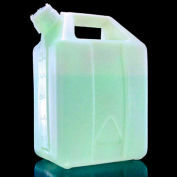 All other sizes are of a conventional flask shape. 1,000ml Class A Volumetric Flask with PE Stopper No. 22, Tolerance ±0.30, Approx. Height (mm) 339, Case of 6.